We have applied for CLE credit in Virginia and the state bar is still considering our application; upon request we will provide students with information for them to pursue credit in other jurisdictions. Tuition discounts available for veterans and service members, as well as group registrants. 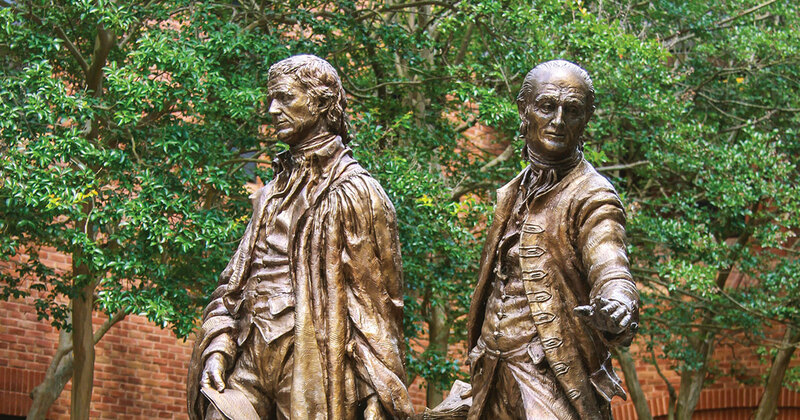 William & Mary's connections to the military date back to its earliest days as a College, when 17-year-old George Washington received his first surveyor's license through the College and returned after the Revolutionary War to become its first American chancellor. As the oldest law school in the nation, William & Mary Law School prides itself on its long service to the nation, and the Veterans Benefits Clinic is another demonstration of William & Mary's commitment to its community. The Lewis B. Puller, Jr. Veterans Benefits Clinic offers students the opportunity to assist veterans with filing claims for disability compensation with the Department of Veterans Affairs. Under attorney supervision, clinic students have the opportunity to interview clients, analyze medical records, communicate with health care providers, and craft strategies to help clients receive disability compensation. These services can have life-changing effects on the veterans we serve. Classmates remember Lewis B. Puller, Jr. '68, J.D. '74. In recognition that veterans disability issues go beyond their legal claims for benefits, William & Mary Law School has partnered with Virginia Commonwealth University's Center for Psychological Services and Development to help veterans address all of the health and disability concerns that may arise from their service to our nation. In furtherance of the national discourse on veterans law and issues affecting veterans, the Lewis B. Puller, Jr. Veterans Benefits Clinic hosts and moderates The Veterans Law and Benefits Blog. *If you wish to make a gift to help this vital work continue, please click here. We encourage you to honor a fellow Veteran, or support one of the law students doing this important work, today. Dean Douglas, Professor Roberts, former clinic student Shane Rumbaugh JD '15, and a client family talk about the work of the Puller Veterans Benefits Clinic.